YES TRADING is a reputable underwear wholesale company, established in Miami, Florida for over 25 years. 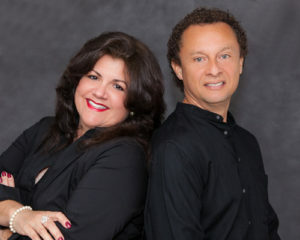 The business, which recently relocated to its current location in South Miami, has been owned and successfully managed throughout the years by Victor Dominguez, President and CEO. And of late, due to the current expansion of the business, Laura, his wife, has recently joined and is responsible for administrative matters. With a vast a wealth of experience and knowledge in the garment industry, and a great sense of style, Victor takes great pride in ensuring that YES TRADING continues to meet and satisfy the needs of its customers, and offer quality undergarments for men, women and children at affordable and competitive prices! YES Trading carries trusted and recognized intimates brands and labels. View the list of the most popular underwear manufacturers. YES TRADING is pleased to offer quality wholesale underwear products worldwide. Here some of the countries that have already established business with YES TRADING Wholesale Underwear & Socks.